This is a perfect game to practice school vocabulary. It can be used with students of any level you like. All you need to do is cut the cards. 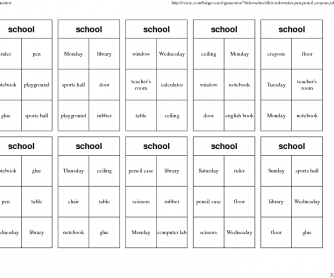 tThe teacher calls out the words or you can choose a student to do it. 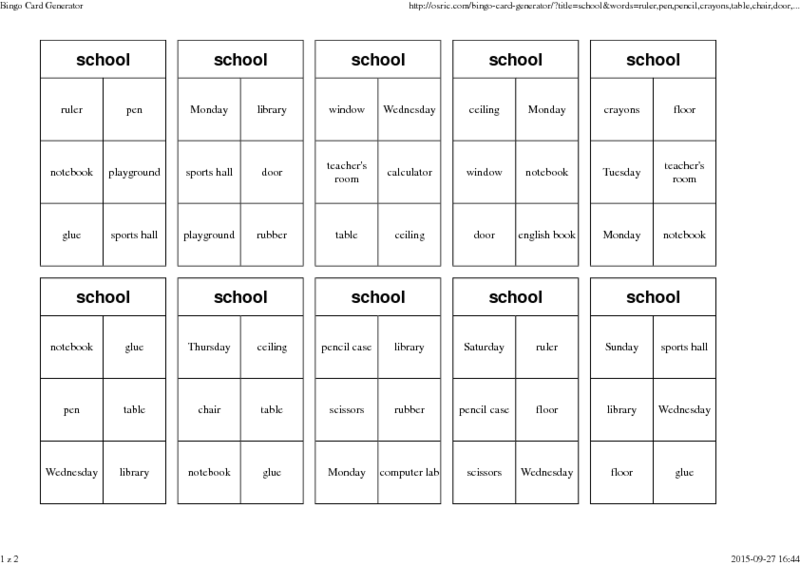 This is a good way to revise: school facilities, school stationery, days of the week and months.